It’s finally time to replace your old, worn out Lexington HVAC system. What do you need to know about getting a proper installation? A professional job by an expert will make all the difference in getting the most out of the new system. 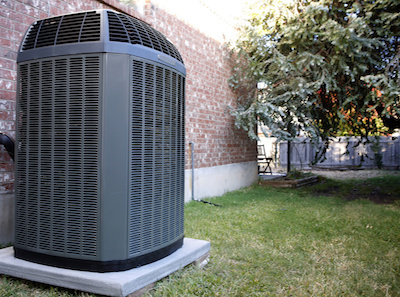 Wrong Size – Did you know HVAC systems come in a variety of shapes and sizes? Only an expert knows how to choose the perfect combination for your home. Buy a unit that is too small and it won’t be able to keep up, running continuously but never cooling the space all the way. A unit that is too big will also lead to problems. If a system cools the space too quickly, it will be turning on and off all the time, shortening the life span of the unit and even leading to high humidity in the home. Leaking Ducts – A system is only as good as the ducts used to distribute its output. The most efficient unit in the world can’t overcome ducts that perform poorly, leaching cool air into unused areas through gaps or just plain poor design. An expert installation will include a thorough duct inspection, making any fixes needed immediately so that the new system will function at peak efficiency. Improper Refrigerant Charging – At the core of your cooling system is the refrigerant used to treat the air. This needs to be charged to exact specifications for everything to work smoothly. Frost or ice buildup on the coils from undercharging will keep the system from doings its job effectively, and can even cause the compressor motor to overheat and damage the system. Overcharging can also wreak havoc. Protect your HVAC investment by leaving the installation to the experts at Climate Control of Lexington. Our NATE-certified technicians know how to choose the right system and will inspect at every turn to ensure an install that guarantees the unit will at top efficiency. Call today to set up an appointment. How Efficient Is Geothermal Heating & Cooling?